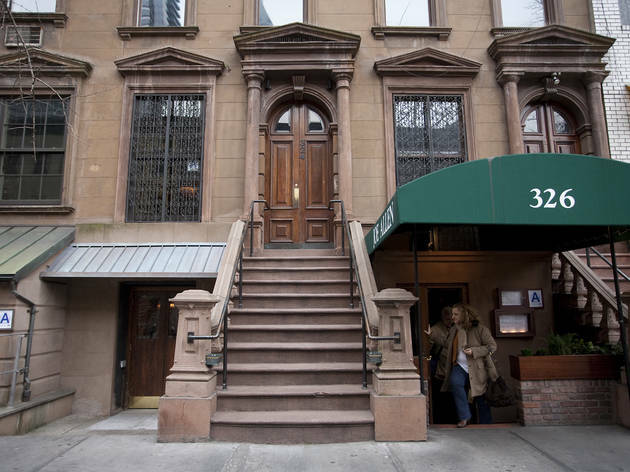 Whatever your poison, Hell’s Kitchen offers several drinking options that make it worth the trek to midtown's neighborhood with the least welcoming name. 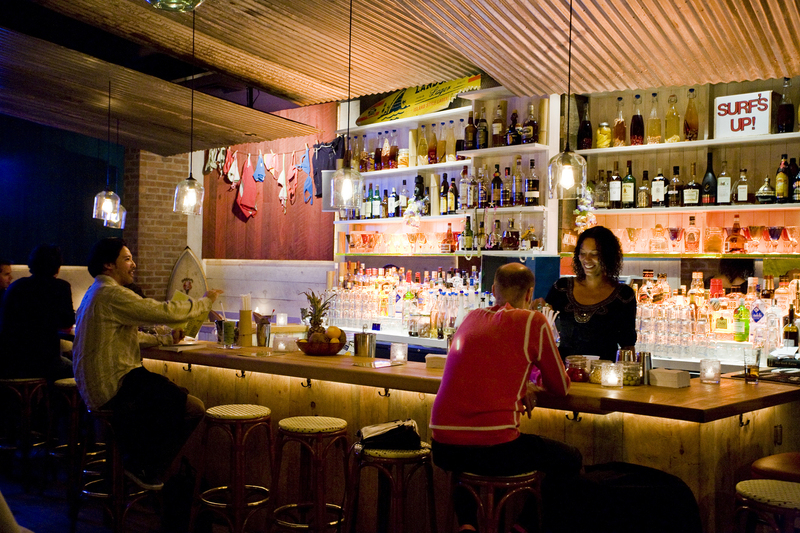 In the mood for a well-curated wine bar, a friendly dive bar or a speakeasy-style cocktail haunt? 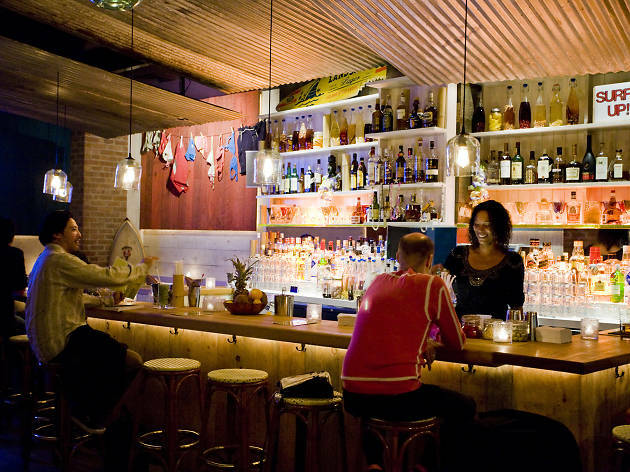 The best bars in Hell's Kitchen includes 'em all. 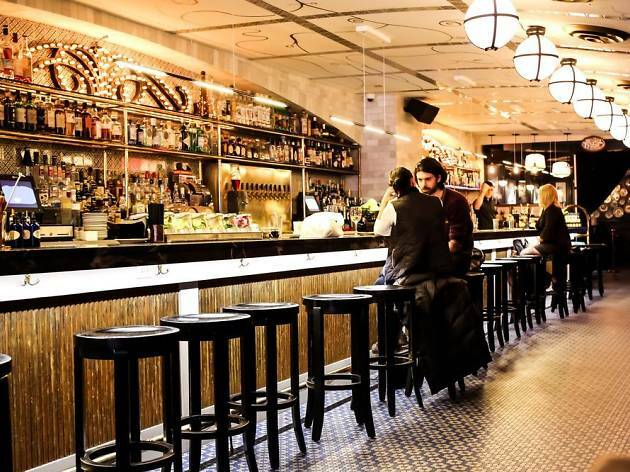 This Restaurant Row gem serves dual symbiotic purposes: Whether you’re an actor in need of a stiff drink, or a Great White Way fan looking for a dose of backstage gossip, head to the swank watering hole. The elegant space comes alive after curtain call, and drinks—such as pricey martinis and Manhattans—are competently made and ample. Despite this grievance, Bar Centrale succeeds because it exudes a quality that often escapes the geeky world of theater: It’s cool. Outside, a smiling, six-foot fiberglass pig beckons—apparently unaware that, inside, his porker brethren are being doled out for free in the form of glistening hot dogs, gas-station food-mart style. 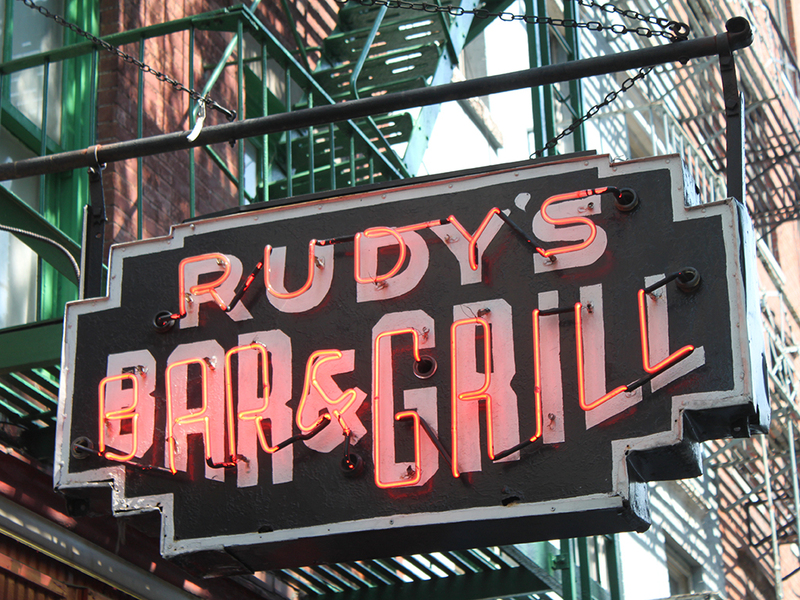 The huge selection of beers (including house brand Rudy’s Red Ale), the strong well drinks and the rock-and-blues-heavy jukebox bring together khaki-clad office types and grizzled neighborhood regulars. Don’t bother asking for a fancy cocktail—it ain’t that kind of place. 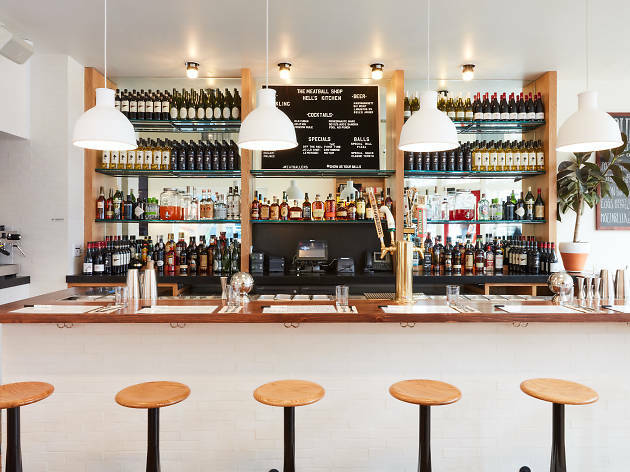 Inspired by the combination of old and new architecture in Hell’s Kitchen, the team has stocked this wine bar’s strong international list with a combination of established classics and less common selections from up-and-coming producers. 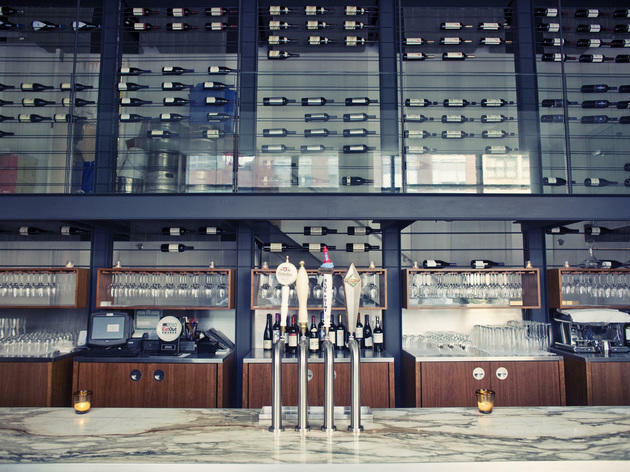 The design, too, mixes past and present, with a look that includes a wine wall modeled after the neighborhood’s iconic fire escapes. 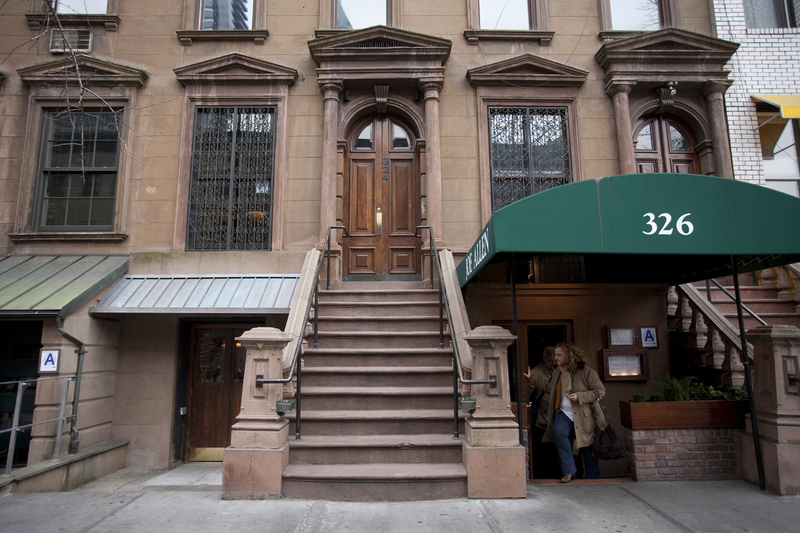 Legend holds that Hell’s Kitchen got its fiery name during Prohibition, when veteran policeman “Dutch Fred” witnessed a neighborhood riot with his rookie partner and proclaimed, “Hell’s a mild climate. 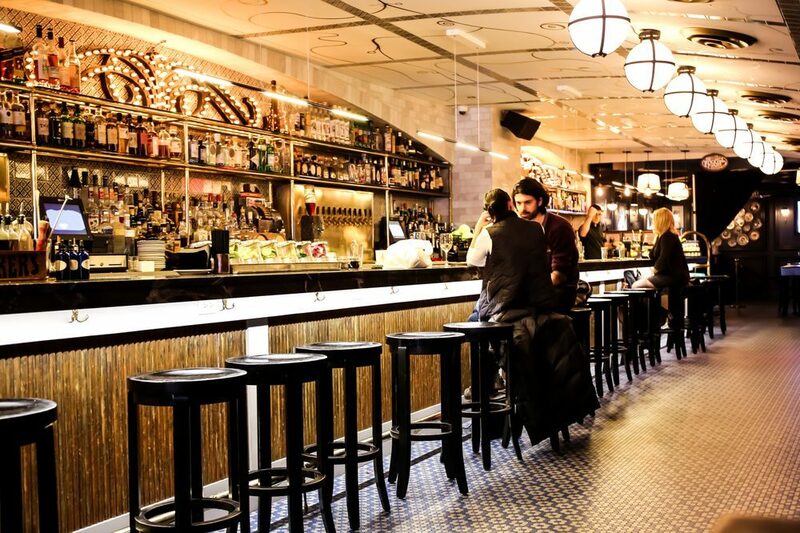 This is hell’s kitchen.” The owners tap into the era and legacy of its namesake with this 1920s-style Hell’s Kitchen cocktail bar, decorated with mosaic tile floors, framed portraits of Fred himself and flat screens showing black-and-white films. 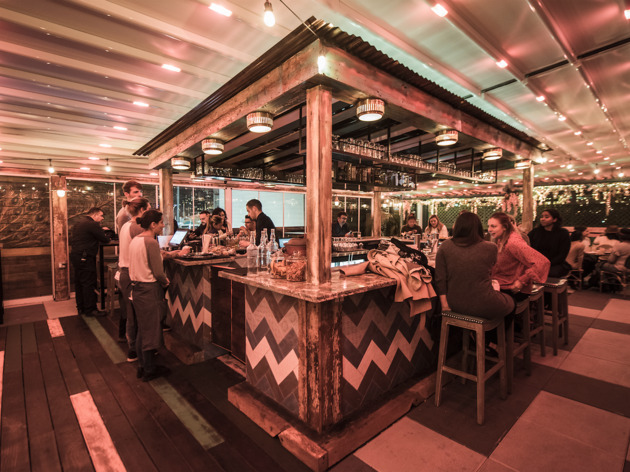 From after-work drinks to killing time around Times Square, this subterranean surf shack is a solid card to play when faced with all manner of midtown conundrums. 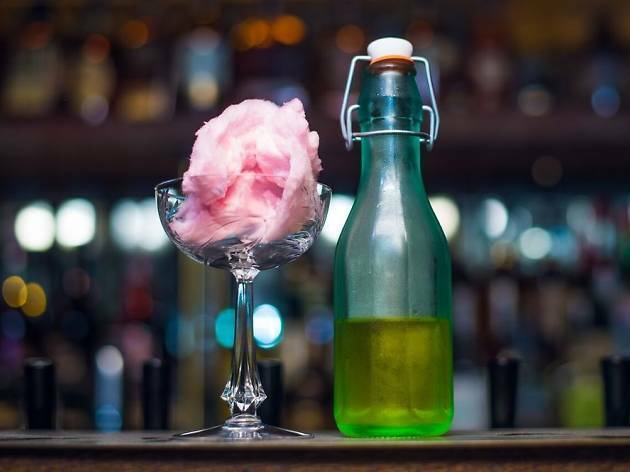 Though there’s kitsch aplenty, including colorful bathing suits strung up on the walls, the under-the-radar drinkery has its bona fides in order. 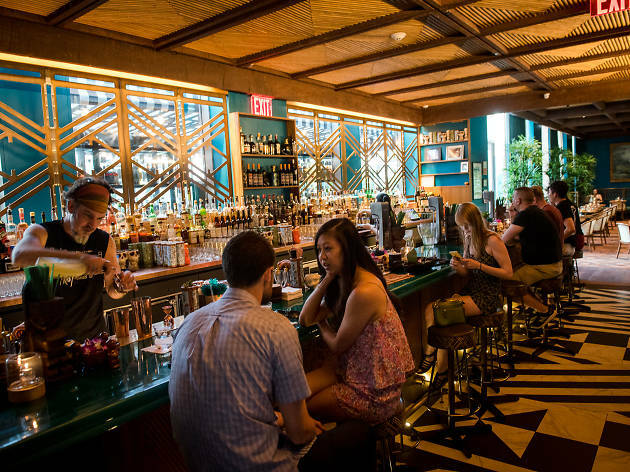 The Polynesian is a handsome tiki bar in Hell’s Kitchen, and the Major Food Group's first stand-alone bar. 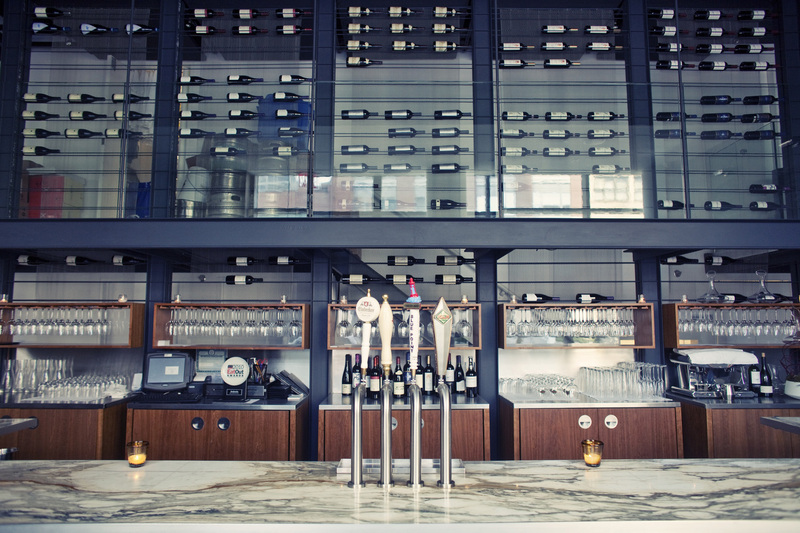 The space is awash in deep-turquoise walls and old-world landscape murals under high ceilings with wooden beams. You’ll have a hard time distinguishing the flavors of one glossy cocktail from the next—all swirl together with a similar winning formula, mostly of rum and various tropical juices presented in a really cool tiki glass. City folk can party honky-tonk-style at this country-western gay bar. The 74-seat spot is outfitted to look like a Wild West bordello, complete with red velvet drapes, antler sconces and rococo wallpaper. Throw back a shot and wrangle yourself a mate, or chow down on hearty grub like chili or beef burgers. 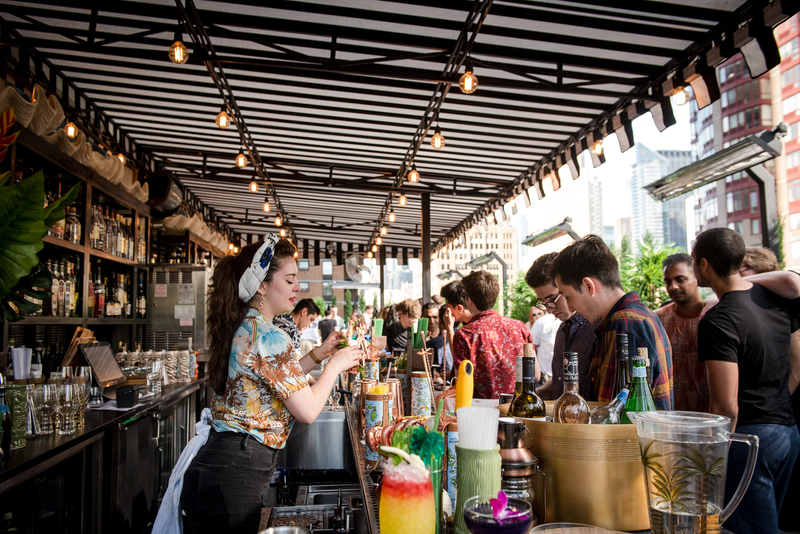 Don't miss the entertainment—performances by bartenders dancing in cowboy boots add to the raucous vibe. When you go to a place named for Hunter S. Thompson’s signature style of strange, the bizarre will happen. 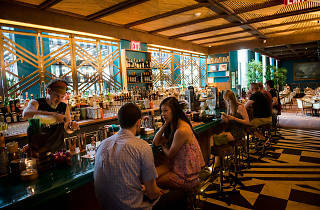 A peacock-teal and Technicolor oasis on an otherwise antiseptic stretch of Hell’s Kitchen, Gonzo’s rosily lit patio has Cuban hacienda vibes and sweeping views of, ugh, the Lincoln Tunnel. 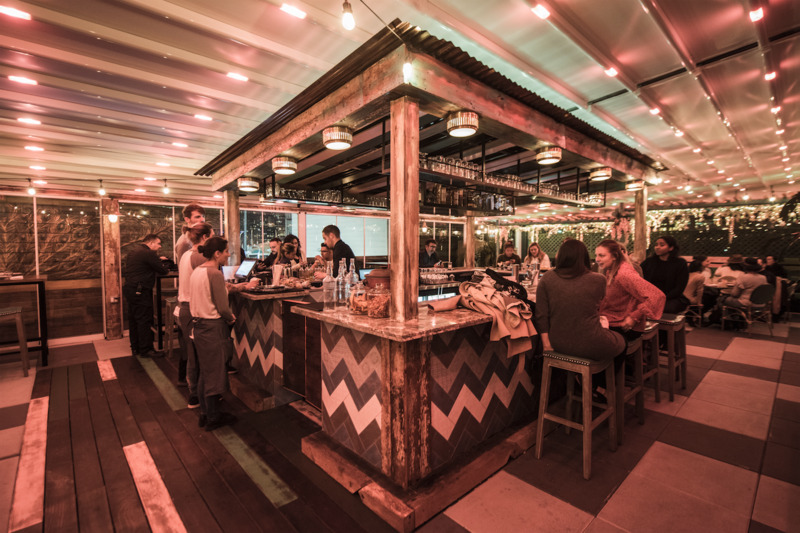 At this expansive space with games and live music, the goal is to combine beer-hall vibes with cocktail culture in Hell's Kitchen. 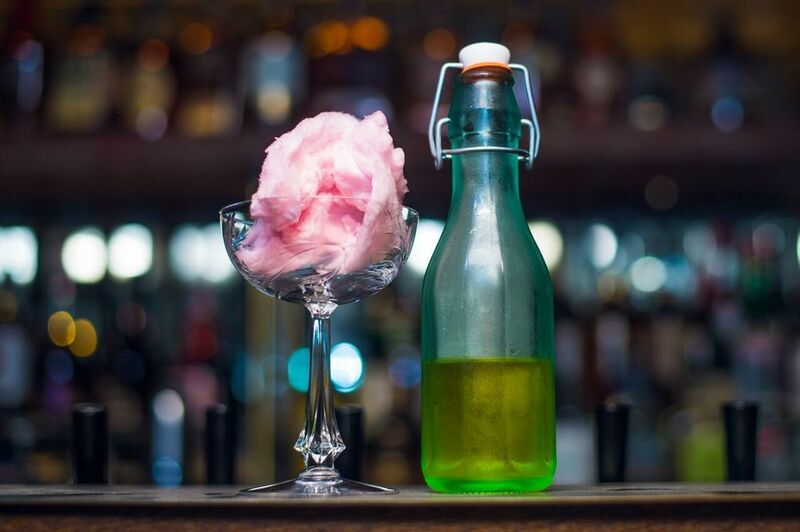 Enjoy live music in the Industrial Revolution-themed space while drinking cocktails garnished with cotton candy and popcorn. 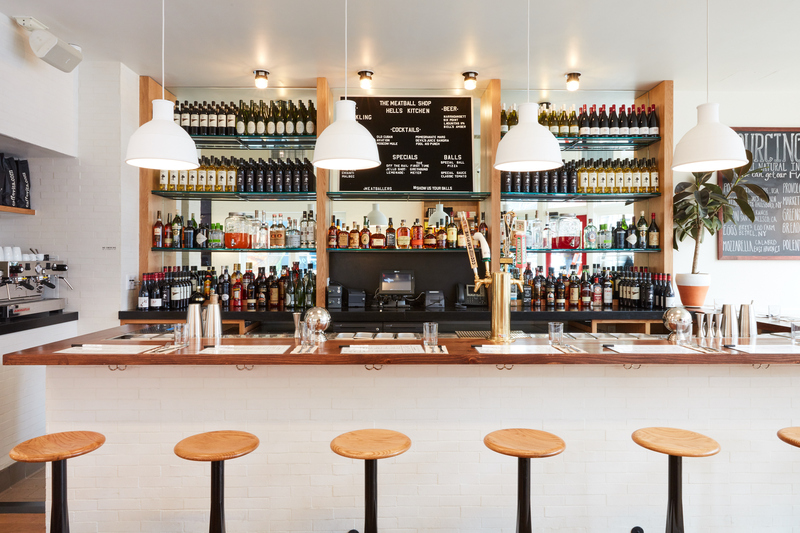 The Meatball Shop comes with this boozy next-door addition, decorated with black-and-white tiles, red-painted barstools and blond-wood furniture. 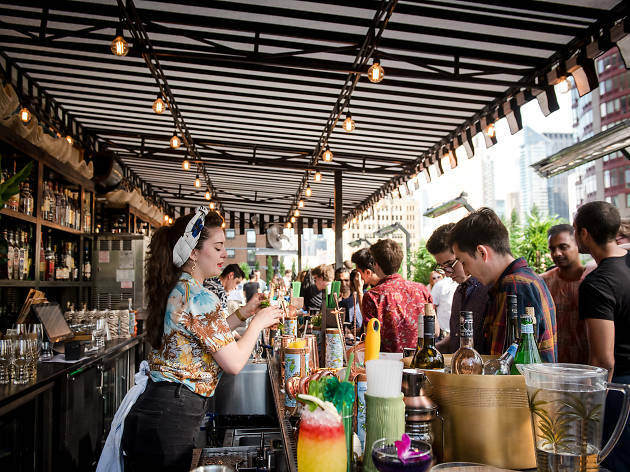 Cocktails by a Gramercy Tavern alum are cheekily named (The Poolboy, Becky with the Good Pear) and on-tap house-made sodas (almond, turmeric) are for guests to spike with their choice of liquor.